UDA ConstructionOnline is a construction management solution that integrates key areas of construction processes such as project scheduling, project management, and customer management. The system aims also to reduce the cost of construction by providing users sets of instantly accessible and easy to use tools that speed up construction task planning, management, and collaboration. The software increases the involvement of project team members and stakeholders by keeping them notified and updated with the progress of projects, their to-do lists, project changes, as well as the information that they need. UDA ConstructionOnline with its integrated system streamlines the administrative tasks and project-related activities of developing businesses in the homebuilding and remodeling industries. A prominent functionality of UDA ConstructionOnline is its project scheduling feature. With this feature, users can quickly and convenient set the schedules of activities and tasks as projects move from phase to another. The software is using Gantt style chart schedules that allows editors and viewers of schedules determine the progress of individual activities from the starting date to due date for a set task. Structuring of schedules is also made easier because in this feature, users can mark up or highlight critical dates by adding milestones to specific activity schedules which helps users track due dates. Furthermore, the scheduling feature of UDA ConstructionOnline contains predecessors which link task activity schedules together. Hence, for instance, one task can be set as the predecessor of another task. When the final date of the predecessor task is set, the task that follows next will just start when the final date of the predecessor task is already reached. Predecessor relationships can be configured in the software which are finish to start, finish to finish, start to start, and start to finish. This feature allows schedule viewers and editors to track the duration of task activities and the progress of such activities. Reminders and notifications on schedules are also built into the system allowing users or resources updated. This improves efficiency in handling tasks and activities ensuring that everything is followed and done within the schedules set. Another feature UDA ConstructionOnline is its client portals. As a software that accommodates customer relationship management functionalities, it provides online portals by which clients can view project calendars and files and photos of their projects. This feature also enables clients and stakeholders to approve upgrade needed for a project and initiate a request for change orders. This features eliminates the hassle of conducting review meetings among clients and contractors and other team members; hence saving a lot of time. If you are considering UDA ConstructionOnline it could also be beneficial to analyze other subcategories of Best Construction Management Software listed in our base of SaaS software reviews. Organizations have diverse needs and requirements and no software solution can be perfect in such a condition. It is pointless to try to find an ideal off-the-shelf software app that meets all your business wants. The smart thing to do would be to customize the system for your unique needs, employee skill levels, budget, and other factors. For these reasons, do not rush and subscribe to well-publicized trendy systems. Though these may be widely used, they may not be the ideal fit for your unique wants. Do your groundwork, look into each short-listed system in detail, read a few UDA ConstructionOnline reviews, contact the seller for clarifications, and finally settle for the app that offers what you want. 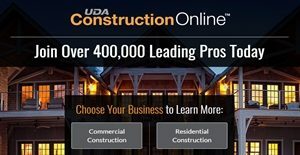 How Much Does UDA ConstructionOnline Cost? We realize that when you make a decision to buy Construction Management Software it’s important not only to see how experts evaluate it in their reviews, but also to find out if the real people and companies that buy it are actually satisfied with the product. That’s why we’ve created our behavior-based Customer Satisfaction Algorithm™ that gathers customer reviews, comments and UDA ConstructionOnline reviews across a wide range of social media sites. The data is then presented in an easy to digest form showing how many people had positive and negative experience with UDA ConstructionOnline. With that information at hand you should be equipped to make an informed buying decision that you won’t regret. What are UDA ConstructionOnline pricing details? What integrations are available for UDA ConstructionOnline? To attain a more comprehensive project management solution, UDA ConstructionOnline can be integrated with accounting solutions, social media platforms, cloud hosting services, and other apps and software.